Markin Glen County Park was originally the estate of Morris Markin, the founder of Checker Motors corporation of Kalamazoo. The Parks Foundation of Kalamazoo County was responsible for leading the fund raising drive that allowed the west side of Markin Glen to open as a County Park in 1994 after the County acquired the property from the City of Kalamazoo. 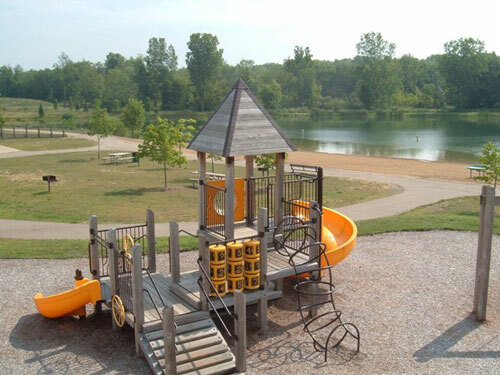 Markin Glen County Park is the perfect location for a family gathering, company picnic, school outing, or group picnic. 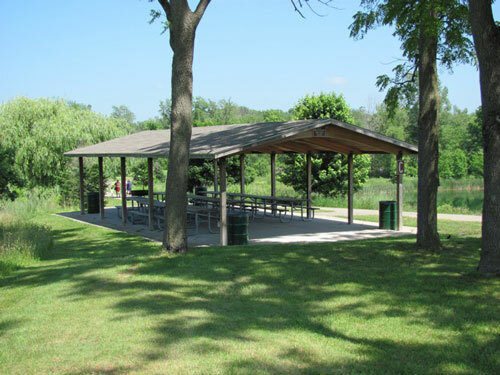 Picnic shelters feature grills, electricity, water and clean modern restrooms at or near the shelters. For a list of available shelters, along with descriptions and fees, please visit our Picnic Shelters page. Campsites can be reserved starting on the first business day of January. To make a reservation, call 269-383-8778. Payment is due at the time of reservation with a credit or debit card. We accept Visa, Mastercard & Discover. 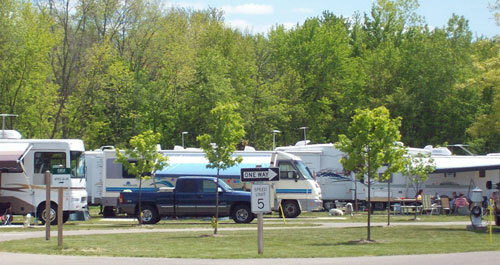 To make a reservation less than two weeks before your arrival date, call the park directly at 269-381-7570. The Maple Hill Trail is located on the West Side of Markin Glen Park, and features nearly five miles of mostly machine built singletrack. Riders can look forward to banked turns, tabletops, jumps, and rock features. Most features are designed to be rollable at slow speeds for beginner riders, but reward intermediate and advanced riders who hit them at higher speeds. There's a surprising amount of climbing and grade for West Michigan, but long descents are the reward. The trail is well signed and alternates directions depending on the day of the week. A changing station, drinking water, pavilion, bike parking, and restroom are available at the trailhead. For more information please contact 269-383-8778.